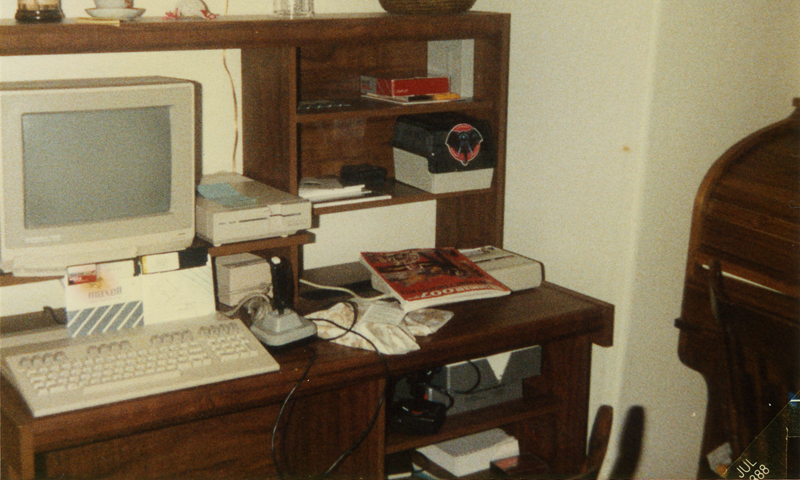 Just yesterday, I found and scanned an old photo of my first computer. Prior to the C128, I used C64s, apples etc. in school, but this one was at home, and saw a ton of use for programming, games , and word processing (GEOS 128). Just realized this pic is 20 years and 1 month old. How did that get to be so long ago? Boy does that bring back memories. I actually still have my C64 at home now. I am almost inspired to try and fire it up. I got it when I was 10 years old. I almost cried when, recently, we visited the Smithsonian and they had a C64 on display. You know, that was a pretty quiet revolution on game controllers. Along comes nintendo and all of a sudden, everyone is doing gamepads instead of joysticks, reserving joysticks for flight sims.